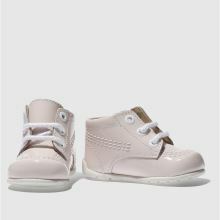 In pastel pink perfection, the Kickers Hi Patent Lace arrives at schuh for kids. 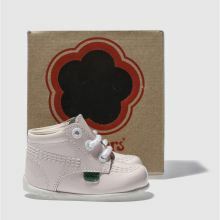 Dressed in patent leather upper, the sugary sweet style for tiny tots features iconic stitch detailing and contrasting red and green branded tabs. 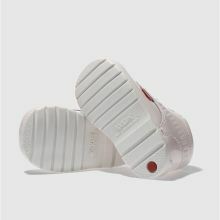 An EVA sole unit finishes.